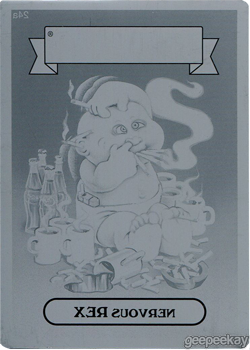 INFORMATION: Because Chrome Series 1 is basically the same images as OS1...and the fact the cards do NOT scan well...this page is intended to serve as an overview of the Series. 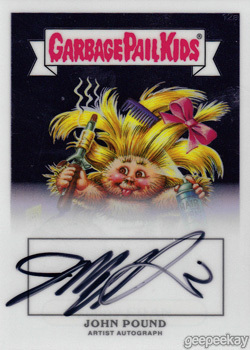 Above are examples of the set/subsets...and below is detailed information about the Series. 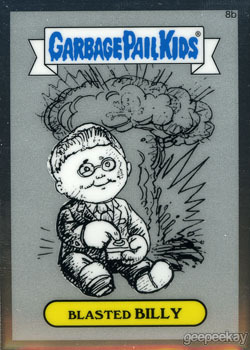 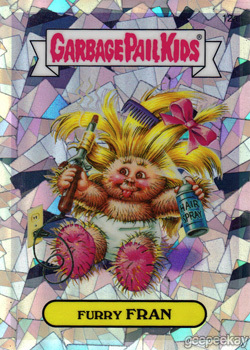 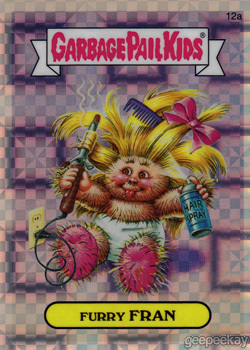 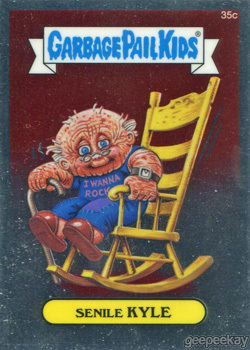 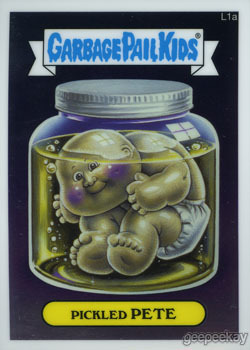 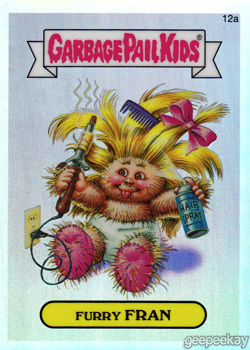 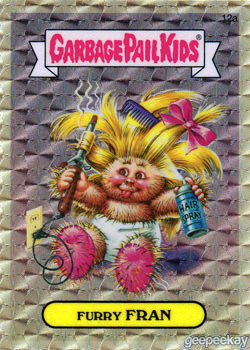 LOST GPK SUBSET: This 28 card set featured Garbage Pail Kids artwork that was completed but never released. 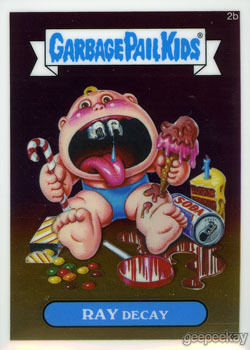 These images are also in the Flashback Series releases. 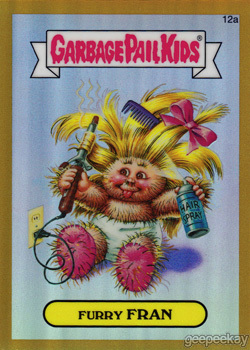 REFRACTORS: There were a number of different Refractor styles in Chrome Series 1. 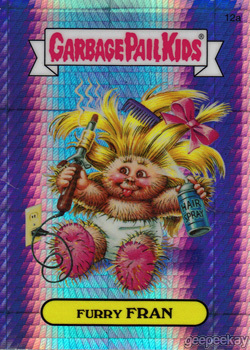 Atomic Refractor and X-Fractor were Retail Exclusives. 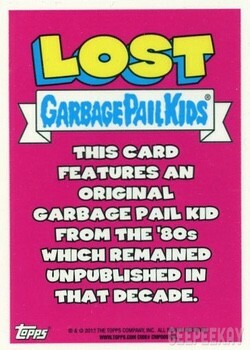 The Gold Refractor were Hobby Exclusive and limited to 50 per subject. 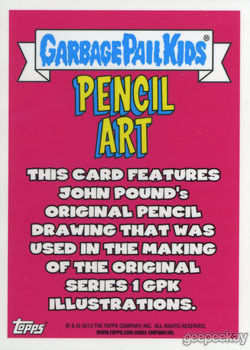 The Refractor was in 1:3 packs...Prism Refractor in 1:50 packs...and the VERY RARE SuperFractor was found in 1:9967 packs, and limited to 1 per subject.